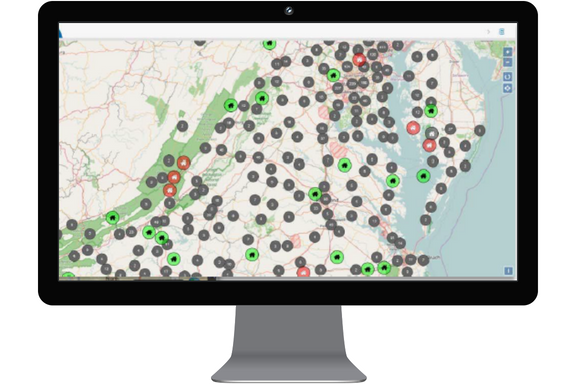 WebEOC Fusion enables collaborative communication and data sharing between multiple agencies. It allows a WebEOC server to communicate with other WebEOC servers, or extensibly to third-party systems, by acting as the central communications hub to route messages to intended recipients. Maps and the Maps Add-on enables you to create a dynamic, geographically-based common operating picture without the need for specialised GIS or mapping expertise. Easier respond to organisation and community needs and gain a transparent view when dealing with crisis situations. WebEOC Mobi is a free mobile app that provides one-way communication allowing you to send report entries from an Apple® iOS mobile device (iPhone® or iPad®) to a display board in a WebEOC instance. WebEOC Mobi is available for download from the Apple iTunes store. A range of specialist solutions and plugins are available within the WebEOC solution portfolio, including WebEOC Air, Boards Talk plugin and others. Click on the name of each plugin listed below to discover more. Active Users Allows you to see all personnel who are working in WebEOC at any given moment. Advanced File Library Provides an enhanced document management tool for WebEOC users and administrators. Board Data Manager Allows advanced data importing and exporting capabilities to any status board in WebEOC. Contacts Manager Allows an organization to store and access a detailed contacts directory through WebEOC. 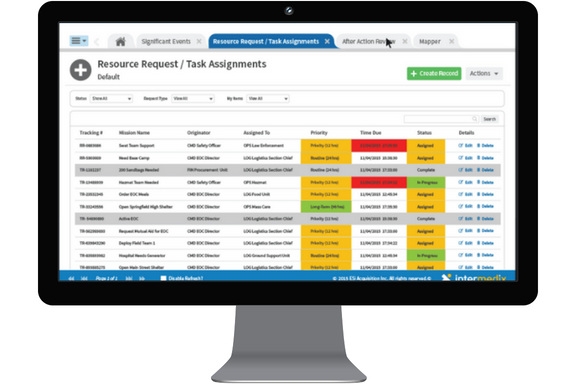 Dashboard A fast and simple way for administrators to organize critical information in a meaningful format and make it available to users in one place. External Content Manager (ECM) – Email Importer Ensure all relevant information that is communicated via email within your EOC and across your response teams is made available to everyone who needs that information. Graph Reports Graphs can be added to existing or new WebEOC boards that visually represent large sets of board data to communicate a better common operating picture and situational awareness. Messages Manager Provides an easy-to-use tool for sending messages to WebEOC users and external recipients. Resource Request & Deployment Module Provides tools that enable agencies to catalog, request, deploy, and track resources. Team Manager Accurately manage and deploy response personnel within your organisation. Interested in learning more about WebEOC? "WebEOC virtually stopped the need to make calls to the state police operations centre for information. They just logged in and were able to access the information they needed. And because WebEOC provides real-time awareness of what's going on, we're able to make better informed decisions."